Amidst the picturesque beauty of the mild slope in the foothills of the royal Himalayas, where forested hills give way to alluvial grasslands and tropical woods, the Manas National Park houses to a great diversity of wildlife, including many endangered species, such as the tiger, pygmy hog, Indian rhinoceros and Indian elephant. 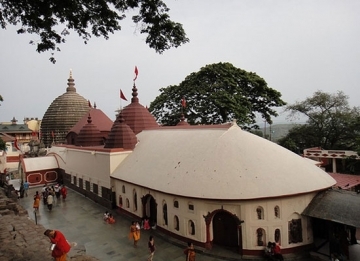 Manas has derived its name from Goddess Manasa who is believed to be the daughter of Lord Shiva. The forest stretches beyond Indian territory to Bhutan, with the gushing waters of the Manas River determining the international border. 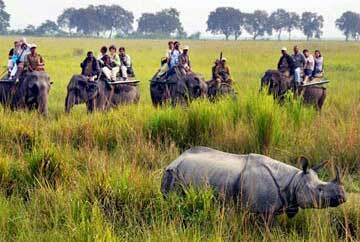 The core area of Manas National Park is 360-km. 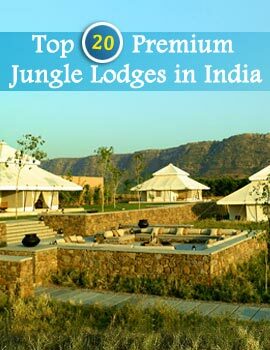 Manas has an extraordinary biosphere, for it is considered as the haven of 20 species of birds and highly endangered animals. Prominent among those are the attractive Red Pandas, which are infrequently viewed in the higher elevation. Tiger population was estimated to be 89 during the 1997 tiger census. 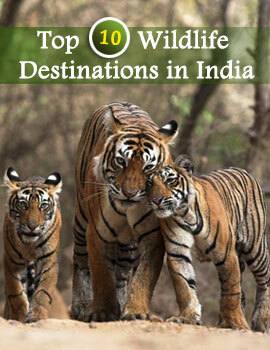 While Kaziranga is known for the Rhinoceros, Manas National Park is famous for the Majestic Tigers. This park is the only Project Tiger in Assam. Capped Langur, golden Langur, Assamese Macaque, Rhesus Macaque, Common Langur, Slow Loris, Royal Bengal Tiger, Black Panther, Leopard Cat, Clouded Leopard, Wild Cat, Golden Cat, Fishing Cat, Large Indian Civet, Small Indian Civet, Common Palm Civet, Himalayan Palm Civet, Binturong, Common Mongoose, Small Indian Mongoose, Dhole, Jackal, Indian Fox, Red Fox, Himalayan Black Bear, Sloth Bear, Smooth Indian Otter, Yellow Throated Materna, Chinese Badger, Yellow bellied Weasel, Common Otter, Indian Pangolin, Bearded Sheathtailed Bat, Fulvous Fruit Bat, Short nosed Fruit Bat, Greater Yellow Bat, Three Stripped Palm Squirrel, Five Stripped Palm Squirrel, Malayan giant squirrel, Bay Bamboo Rat, Little Indian Field Mouse, Indian Porcupine, Asiatic Elephant, The Great Indian One Horned Rhinoceros, The Gaur, the Asiatic Water Buffalo, Sambar, Hog Deer, Barking Deer, Swamp Deer, Spotted Deer, Wild Boar, the Gangetic Dolphin.